A filling, flavorful soup that’s vegetarian-friendly. 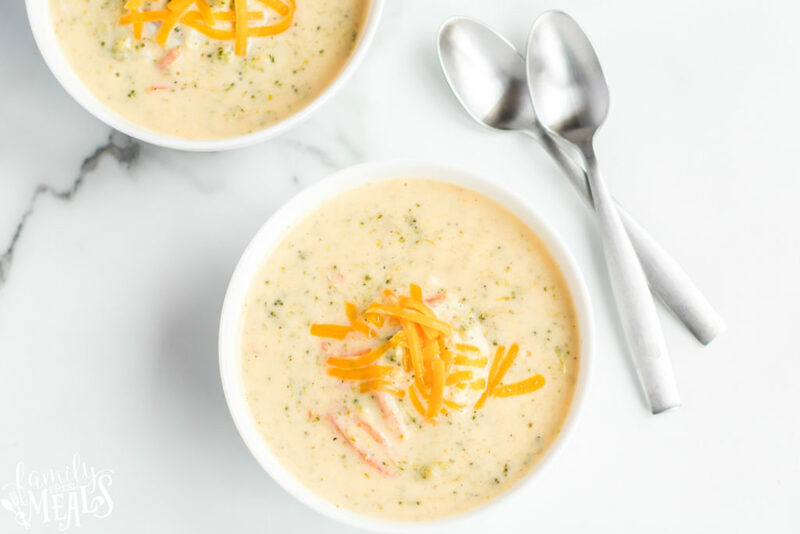 Soup is the perfect cold-weather food. 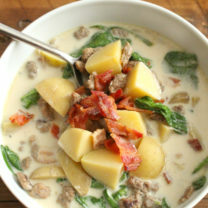 It’s warm, comforting, and very satisfying. 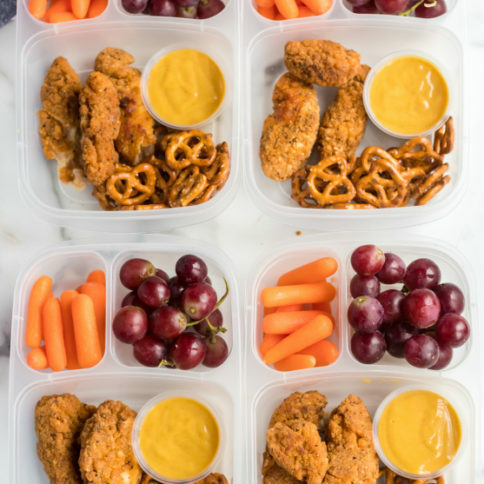 It fills up your belly with fewer calories (if you’re worried about that) and is easy on your wallet (and everyone cares about that). 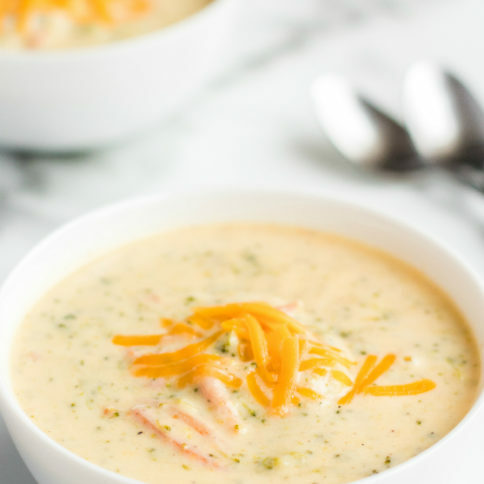 Unfortunately, a lot of the best soup recipes aren’t vegetarian-friendly. Chicken noodle and minestrone and split pea with ham are all delicious, but they leave my poor vegetarian hubby out in the cold with no hot soup. But veggies by themselves aren’t very substantial, so this recipe has one more trick up its sleeve. 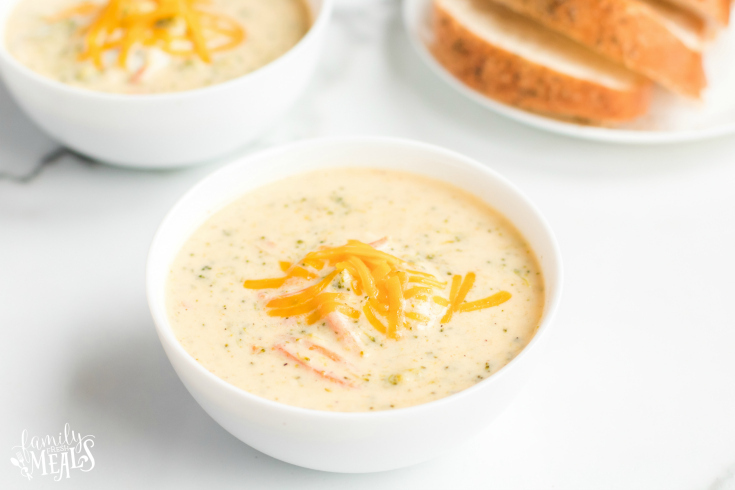 When the soup’s almost ready, you thicken it up and stir in some cream (or half-and-half) and grated cheddar cheese. 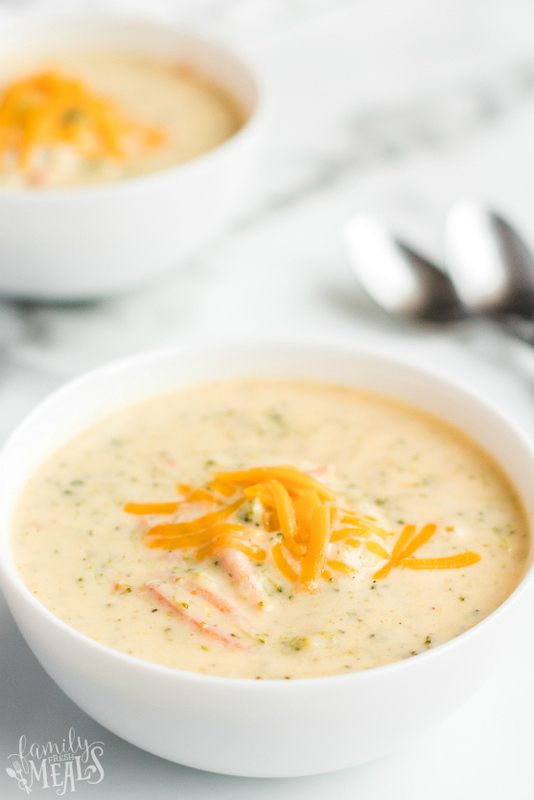 This gives the soup a protein boost that makes it more filling, and the sharp flavor of the cheddar complements the mellow broccoli perfectly. The result? 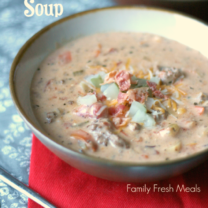 A hearty, flavorful, satisfying soup that everyone at the table can enjoy. 1. Select the saute function to preheat your instant pot. Add the butter and onion and saute until the onion is tender, about 2-3 minutes. 2. Next add in garlic and cook for about 30 seconds. 3. Stir in your chicken stock, broccoli, carrots, salt, pepper, red pepper flakes and nutmeg. 4. Lock the lid in place, and make sure the vent is set to seal. 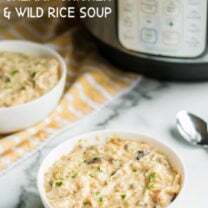 Set pressure to high and and place 1 minute of cooker time on the pressure cooker timer. 5. When the cooking time is up, use the quick pressure release. 6. In a small bowl whisk together the corn starch and cold water until smooth. Set the Instant Pot to saute again and slowly add the corn starch mixture to the pot. Stir constantly until the soup comes to a boil and thickens. 7. 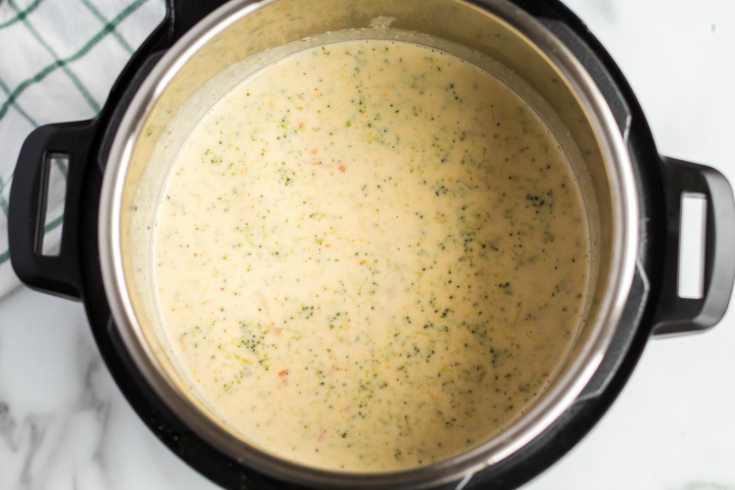 Turn off the pressure cooker and stir in the cream or half-and-half and cheese. Stir until melted. Add salt and pepper to taste. 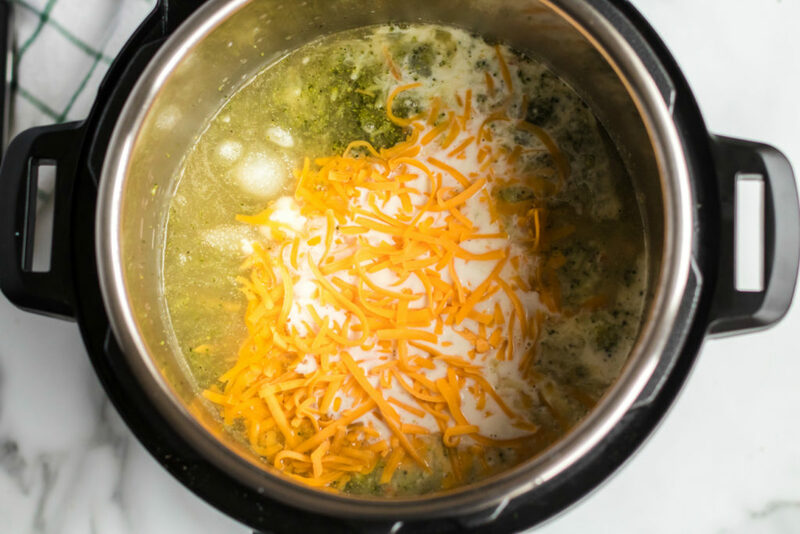 Enjoy your Instant Pot Broccoli Cheese Soup! 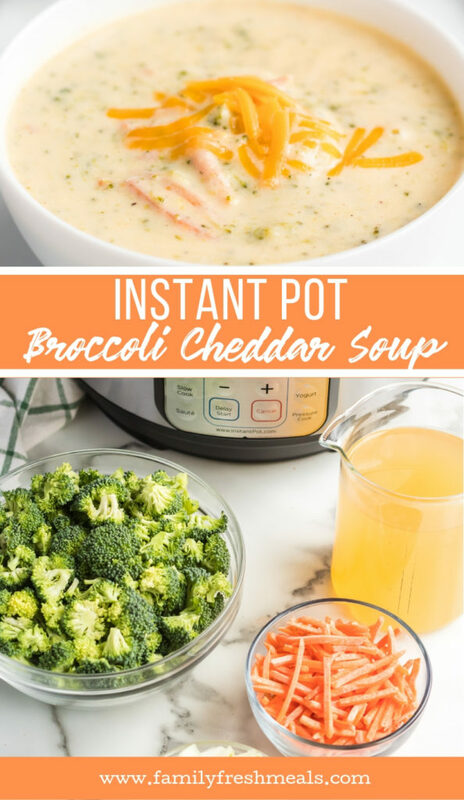 This Instant Pot Broccoli Cheddar Soup is a hearty, flavorful, satisfying soup that everyone at the table can enjoy. Serve with bread for dipping. Select the saute function to preheat your instant pot. Add the butter and onion and saute until the onion is tender, about 2-3 minutes. Next add in garlic and cook for about 30 seconds. 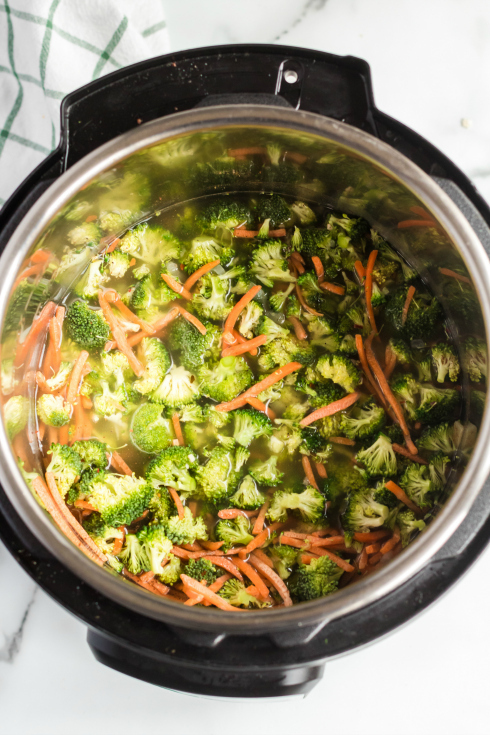 Stir in your chicken stock, broccoli, carrots, salt, pepper, red pepper flakes and nutmeg. Lock the lid in place, and make sure the vent is set to seal. 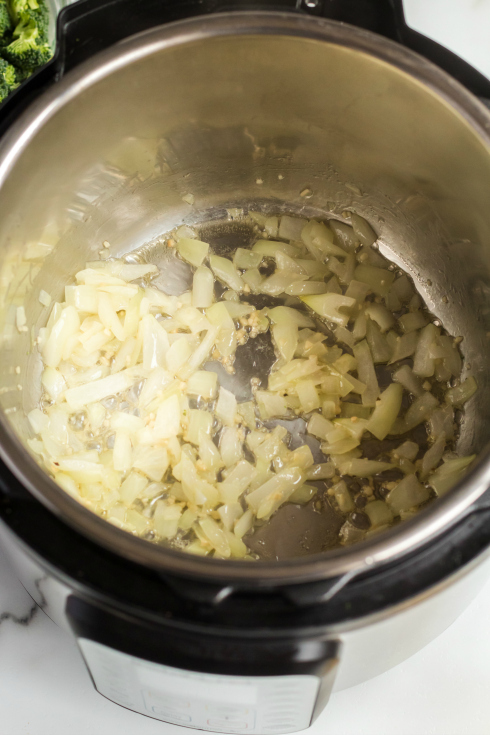 Set pressure to high and and place 1 minute of cooker time on the pressure cooker timer. When the cooking time is up, use the quick pressure release. In a small bowl whisk together the corn starch and cold water until smooth. Set the Instant Pot to saute again and slowly add the corn starch mixture to the pot. Stir constantly until the soup comes to a boil and thickens. 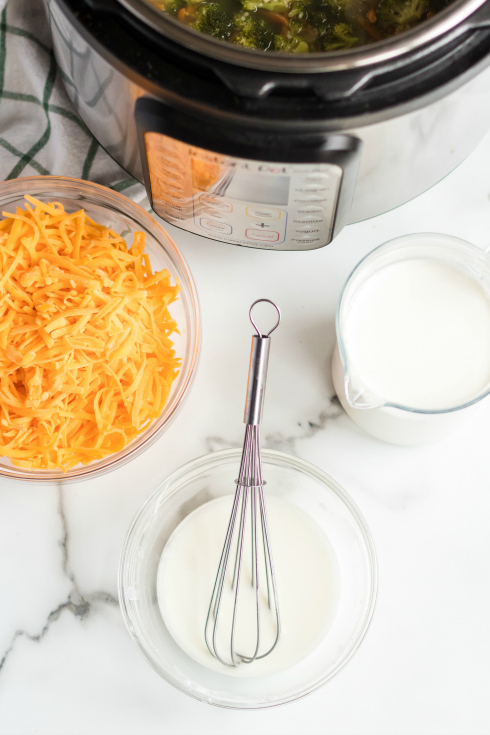 Turn off the pressure cooker and stir in the cream or half-and-half and cheese. Stir until melted. Add salt and pepper to taste. 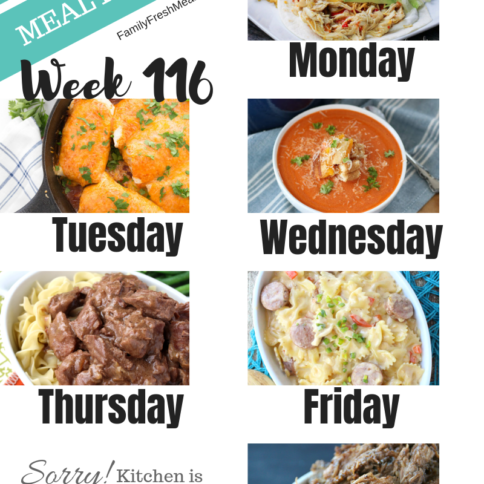 Hey, the recipe looked yummy….however I don’t have an Instant Pot…can it be made on top of the stove or in a crock pot. Looks delicious! Do you know how many WW points this is? Hi! Was wanting to try and make this low-card. What can I use to replace the corn starch and carrots? Also, can I sub out half N half for heavy cream? Looks so delicious! Super easy too!